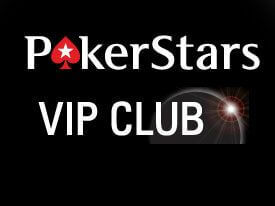 A Player Meet hosted by PokerStars recently took place in an attempt to solve some of the more complex issues that are plaguing the online poker world, chief among these issues were the propensity for players to Rathole (to take winnings off the table) and bumhunt (to only play against really bad players). These issues and others were addressed in a trip report by PokerStars Steve on 2+2, with what appear to be logical, quality, solutions adopted. Here is a quick summary of the new policies that will be implemented on PokerStars in the future. Ratholing is illegal in live poker rooms, but with so many table choices at the online poker tables the practice has been taken to a new level. Online Ratholers basically sit at a table with a short-stack and upon hitting a certain threshold (double or tripling-up perhaps) they leave the table and sit at a new one with a short-stack. While there is nothing illegal about it, the practice is widely frowned upon by the poker community. The basic premise of the solution is that we track players’ stack sizes when they leave tables and then enforce appropriate minimum buy-ins when they re-join other tables. Joining a table creates a ‘stack identity’ for that table type. For example, if I were to sit at a 40-100bb table with 40bb, then leave the table with 67bb, I would now have 40-100bb stack #1 set at 67bb. Each player would have a maximum number of stacks at each table type, with table type defined by buy-in range. The maximum number of stacks would be equal to a player’s table cap (for regular tables) and table cap divided by 3 (Zoom). This way a player could start a full maximum tables session with minimum buy-ins, but if they left any table with more than minimum buy-in, they would then need to re-use the same stack identity when buying into another table of the same type. For example, if I buy in to 24 40-100bb tables with 40bb each, double up on one to 80bb and leave, I would then have to buy in for at least 80bb if I then tried to join another 40-100bb table. Let’s say I do this. Then if I lose 20bb and leave with 60bb, the next table I would join I could buy in for 60bb. This all assumes that I have stayed on the other 23 tables the whole time; if I had left those tables, I would be given the option to buy in for the smallest number of bb available on one of my stack identities. Bumhunting is a more complex issue, considering the practice isn’t even an angle-shoot, you are simply looking to play against inferior opponents. Unfortunately, bumhunting has an impact on the entire poker economy since it not only shames the fish (causing some to quit poker). It has also led to dozens of tables with a single player sitting-out, who will refuse to play virtually every player who sits; waiting for that one fish to come by – and when that fish does sit the wait-list grows to double-digits, further shaming the player. To curtail this activity (which has grown so widespread that Phil Galfond has addressed it on his blog, PokerStars has adopted a “King of the Hill” process, where inactive tables will be closed if a player starts a table and then sits out, waiting for bad players. From now on, only one table will be shown in the PokerStars lobby, forcing players to compete against one another. If a player joins the table and the original player continues to sit out the table will be closed. •	Sit & Go improvements ranging from synchronized breaks for Multi-Table S&G’s to an “I’m Ready” button. •	Random match-making for HUSNG tournaments to allow casual players to sometimes face one another instead of always sitting at a table occupied by a regular.